David & Angie Nicholls “Traditional Butcher and Deli” are located on the Precinct in Edwalton or is it the back end of Bridgford (never sure where the boundary is). The signage beneath their names on the shop front promotes them as a ‘Purveyor of Fine Foods’ (sounds promising). I found them by accident one lunchtime while out food hunting. Although I did not remember it at the time, it wasn’t the first time that I had tasted some of their produce. I have had a previous encounter with a slice of their pork pies at a social event. As soon as I mentioned that I had been there for lunch, the food hunt household informed me that was where that really good pork pie I had eaten recently came from. It just goes to show that firstly I need to pay more attention while grazing through my fellow foodies buffets, and secondly that you are never more than a couple of degrees of separation away from your next tasty morsel. The small chalk board propped up on the deli counter does not do justice to the full range of sandwich possibility that they offer up at Nicholls. I have made a couple more trips since I first found them and devoured the spoils of two hunts worth of deli sandwich. 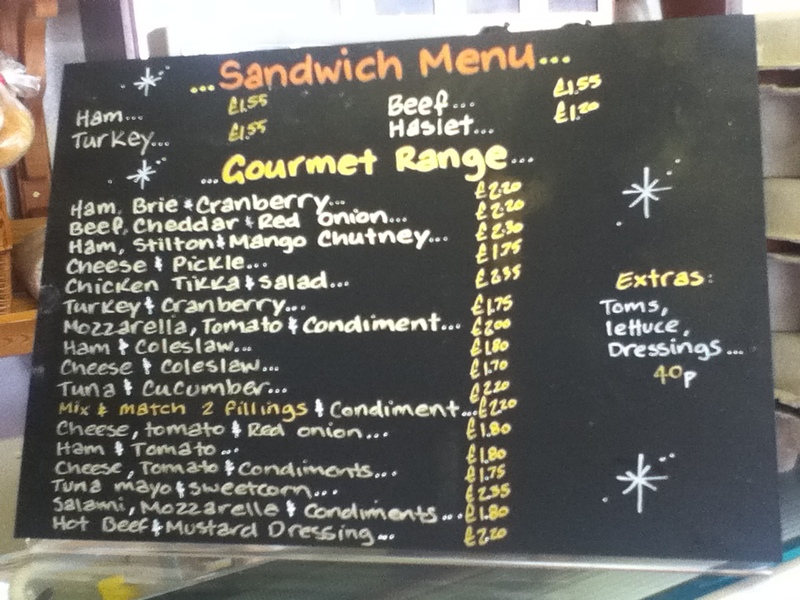 The prices are also incredible value ranging between £1.70 for your more simple combination such as a Cheese and Tomato cob, all the way up to a heady £2.55 for a Chicken Tikka salad cob. You really cannot go too far wrong at those prices, and don’t forget that they are using the best of ingredients and preparing your sandwich freshly in front of your eyes. I don’t believe that you would get a better deal from the supermarket shelf if you had one of those awful mass produced plastic wrapped meal deals. It certainly will make you feel a whole lot better about your lunchtime life. The first of the sandwiches that I have sampled was that Chicken Tikka with Salad for millionaires that I mentioned earlier. It looked a lot neater and presentable before I had it cut in half, so don’t be fooled by the appearance. This is the real deal when it comes to the filling, there are large almost over generously sized chunks of chicken mixed into a spicy sweet Tikka sauce. The sauce did kind of get everywhere, but I was able to avoid any major spillage disasters. The freshly baked seeded roll was the perfect vessel to hold the Tikka filling, the salad added a nice little crunchy contrast and helped with a little bit of cooling action from the Tikka spice. 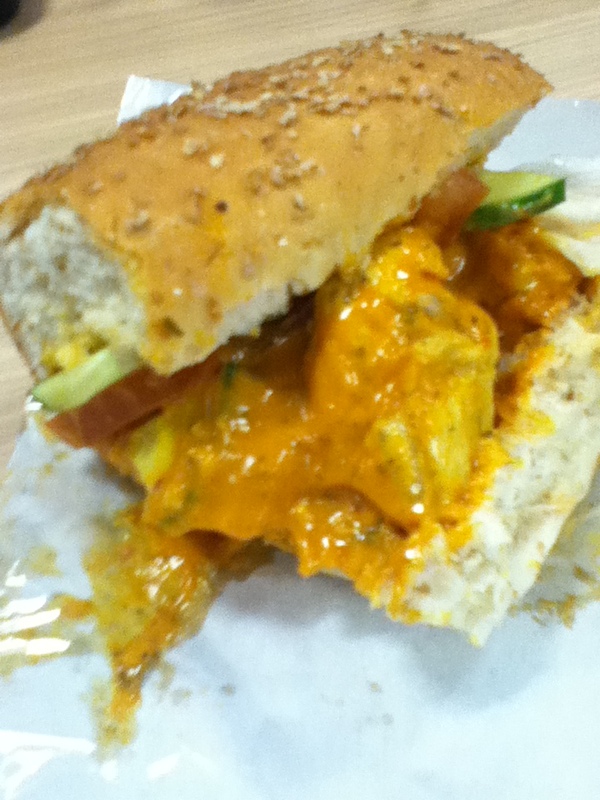 I was happy to pay that extravagant £2.55 for this almost flamboyant sandwich. 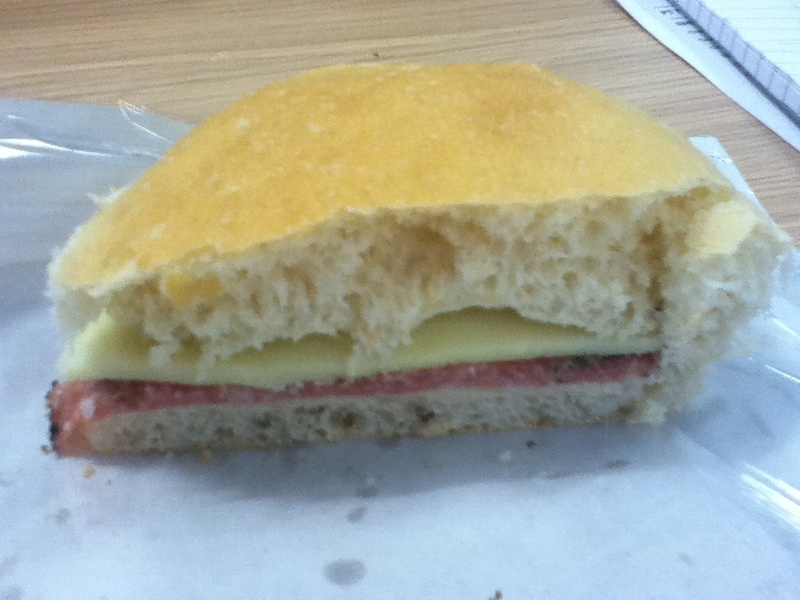 The other sandwich that I have eaten here was a more simple affair, a white cob filled with Mozzarella cheese and some home made peppered salami. I say simple, but perhaps that belies how good this sandwich was, it was really a very good combination of two good quality ingredients. A creamy soft cheese with a light tang of salt and some sweetness as well, paired perfectly with the sweet spice of the pepper crusted salami slices, delicious. I think that a little bit of rocket or some other sort of leaf would just push this sandwich up the deli leaderboard, but I am just being a little picky or perhaps suffering from pangs of hunger and sandwich desire while remembering the food. All I can add to finish the sandwich story was that this was another bargain for just £1.80! 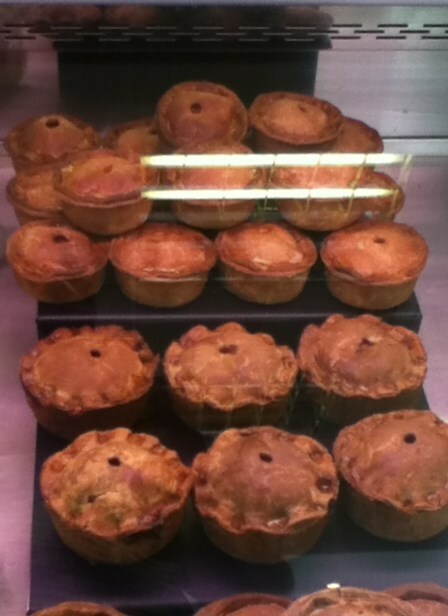 I cannot end the tale without talking about and consuming some of the Pork Pie that they provide here to assist with our continued happiness and general wellbeing. There was a whole section of the deli cabinet filled with pie after pie, and I felt that it would have been somewhat disingenuous if I was to vacate the premises without making a purchase (purely for quality control purposes). 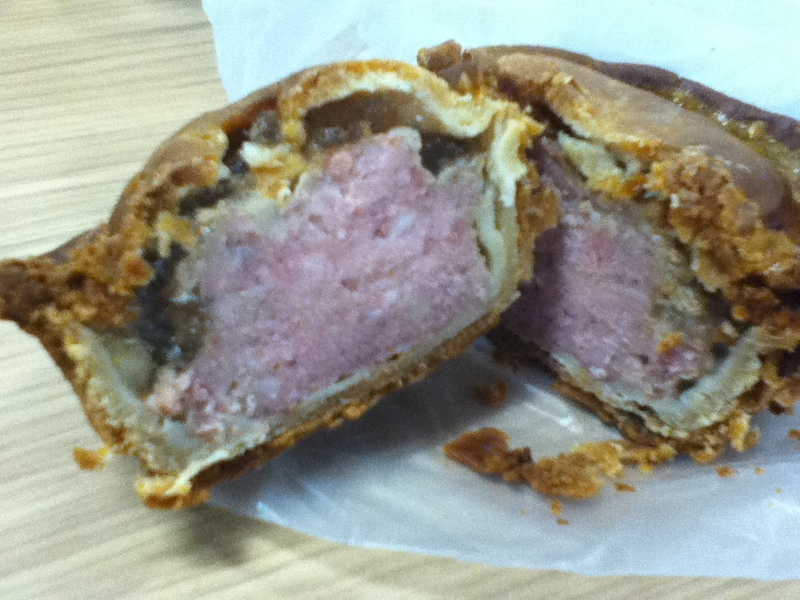 I have to say that this is a rather good pork pie, excellent hot water crust pastry surrounding an excellent filling. The meat inside is a little more solid than in your traditional pie, it has a deeper almost gamey taste, I like it. 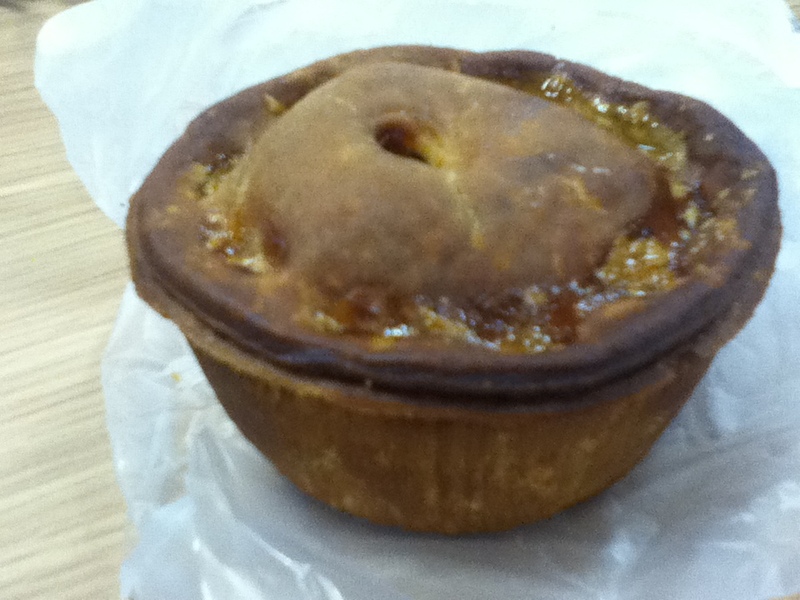 The pastry is a bit crunchier a well, it reminded me a little of a scotch pie casing. They do the pies in a couple of sizes, a small (ish) hand held option for about a pound, and a larger pie that I suppose you could slice up and share with others if one was so inclined. Personally I would just eat that all myself as well. 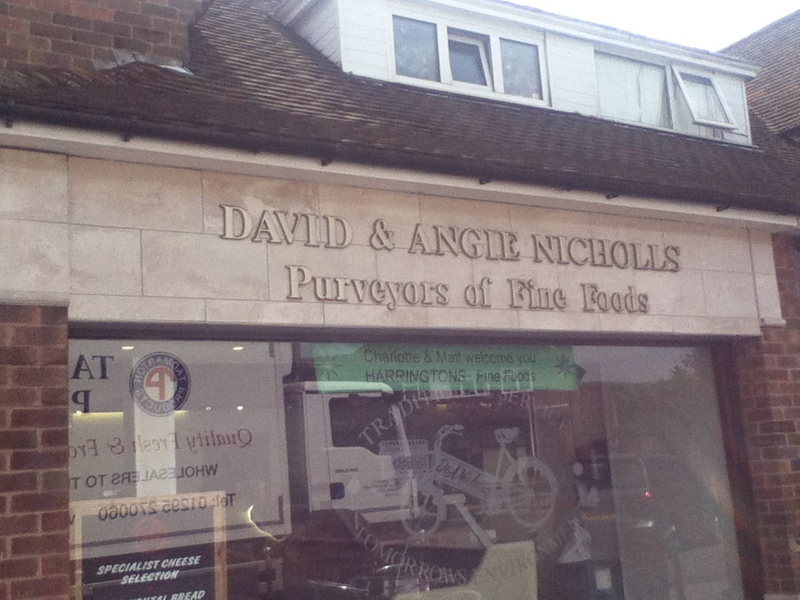 David and Angie Nicholls is located at 24 Hilton Crescent in West Bridgford at the Shopping Precinct. Thus far I have just par taken of their sandwich offerings and pies, but they also have some good looking meats and bacon, so I may be back for some of that later.